According to some ancient geographers, the earth was divided into seven climates. It was thought that there was a connection between the seven climates and the seven planets, with each climate was ruled by one planet. Because of the perception of the sky and earth as inseparable parts, they believed that for every terrestrial thing, a celestial counterpart was created. As celestial symbols, stars are considered to be the eyes of the sky. For old Central Asian Turks, the sky was the Tengri, which represents their greatest Divinity. The sun, planets, and stars have been a great place in the beliefs of the Anatolian people. According to some beliefs, there is a cosmological fate link between stars and people. There is a star in the sky that represents every human being, and whenever a falling star passes it means that one died. The illustrations of planets and stars add a special meaning and a cosmological dimension to the artworks. The star motif, which is one of the indispensable elements of ornamentation, has been extensively processed especially on carpets and rugs. 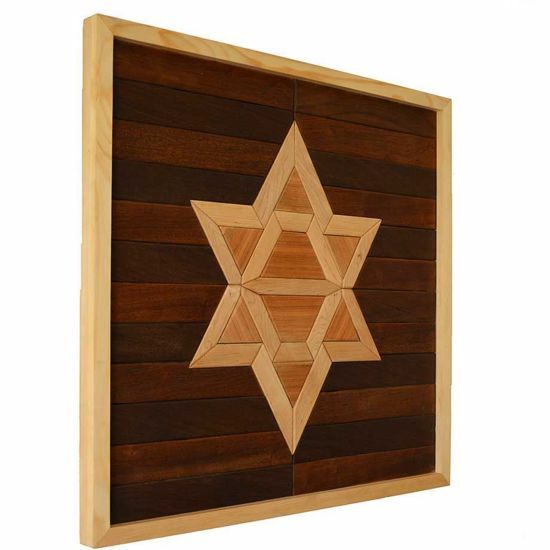 It is also accepted that the star motifs symbolize perfection, dignity, and power, with mystical and cosmological content, which represents the seal of Prophet Solomon. 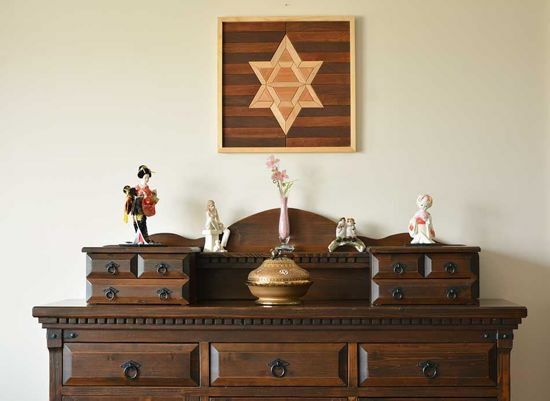 The octagonal or eight-arm Star is also eight auspicious signs of the Buddha's faith. 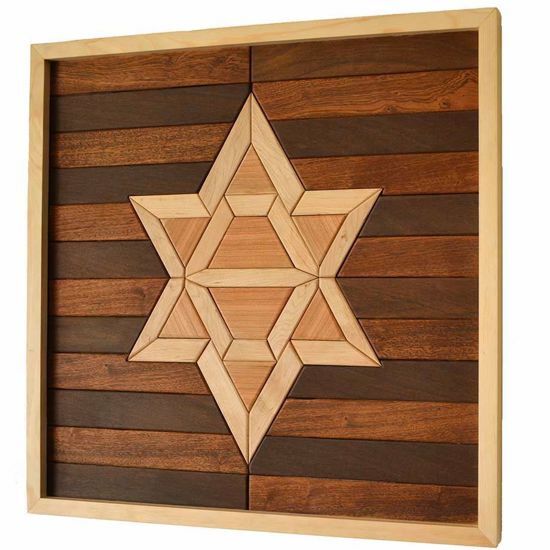 It is also said that the star symbolizes happiness and abundance. 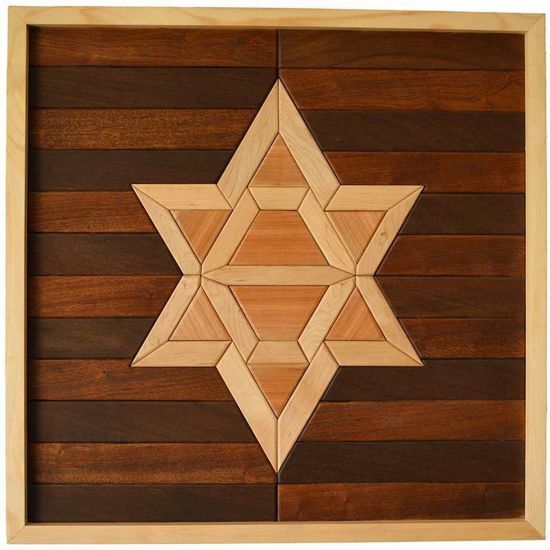 Star motif is made up of 53 separate pieces of wood. 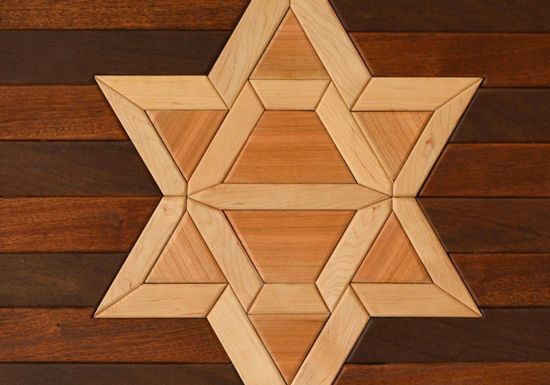 There are four different types of wood: Cherry, Maple, Sapelli, Afrormosia. They are glued together on an MDF panel. The frame is made of Spruce.